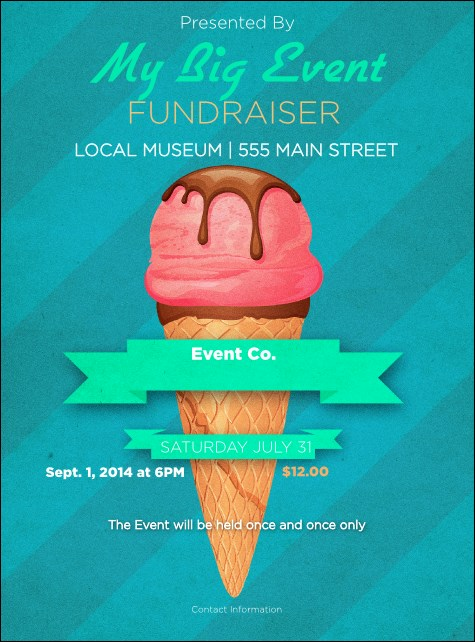 Promote your tasty neighborhood get together and distribute the Ice Cream Flyer in advance. Bold blue stripes form the background on this design, with a delicious cone in the middle and a mint green banner. Enter all your details in the easy flyer and we'll ship them your way! Approximate size 8.49" x 11.46"